Why should we replace our windows for more modern thermally efficient upgrades. • By increasing glazing thickness and panes we make the room warmer, and more efficient as well as reduce the amount of noise pollution. • Uprated double glazing will help reduce our carbon footprint and improve energy efficiency in our home. • Installing double glazing helps with external environmental factors such as condensation and can even improve sash window security. The science behind double glazing. Two panes of glass serve to capture gas in a cavity. This cavity will be filled with an inert gas and this stops the transfer of heat. The cavity typically ranges between 6mm and 22mm. There are more modern 4mm air gap units known as slimline units, however these are not as efficient as a larger air gap unit but work well in listed and conservation buildings. It is a good upgrade that is normally accepted by housing departments as the also want us to improve our carbon footprint. In some windows, triple glazing is being introduced as a means of further reducing noise pollution as well as increased security. While more expensive it is more efficient than standard double glazing low-E units. Materials used in window manufacture process. Most windows are made of wood, metal, or plastic. Environmentally speaking wood is far better than metal or plastic. The energy efficiency is rated by how heat transfer is reduced, and how much air is leaked through the frame or window of each material used in the production of windows. Currently we are still using low-E glass and this has replaced Pilkington-K glass. The low-E technology has not been replaced in over ten years now which would suggest to me that they really got it right this time round. This glazing has an invisible coating of metal oxide bonded to the low-E glazing panel. 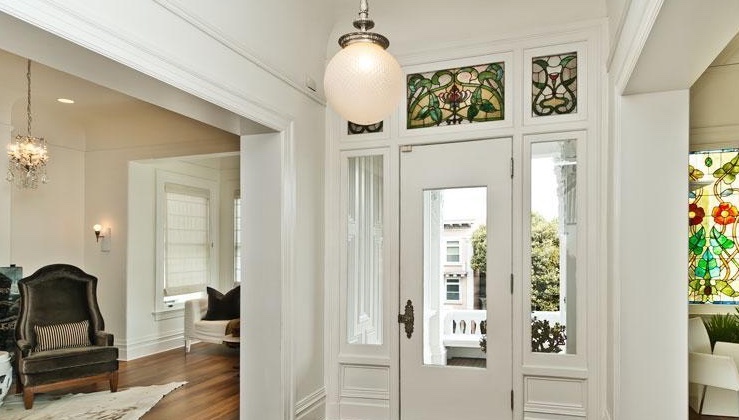 If the client prefers and is willing to spend the extra, both panes of glass are low-E but this is unusual as the U value reduced does not warrant the additional cost. The glazing technology works to allow light and heat transfer in, whilst then blocking it’s escape, forming a greenhouse effect. A modern standard is now to have an inert gas installed in the cavity. The most common gas used is Krypton based on price and availability although all inert gasses will work. We will typically fill with Argon or Krypton simply on price and availability. 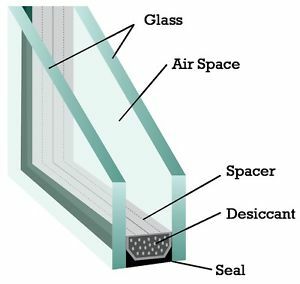 The spacer that joins the glazing panels is called a glazing spacer. This spacer is typically made of plastics and resins. As little metal as possible is used to reduce conduction of heat, which would reduce energy efficiency. A cross sectional look at a double glazed unit. • The worst material is plastic UPVC. It has the shortest lifespan and is the least recyclable of all materials, and creates vast amounts of waste for landfill when eventually replaced. • Wooden frames are the best for environment, can be repaired, and so never really require full replacement, however they do require maintenance which can be costly. 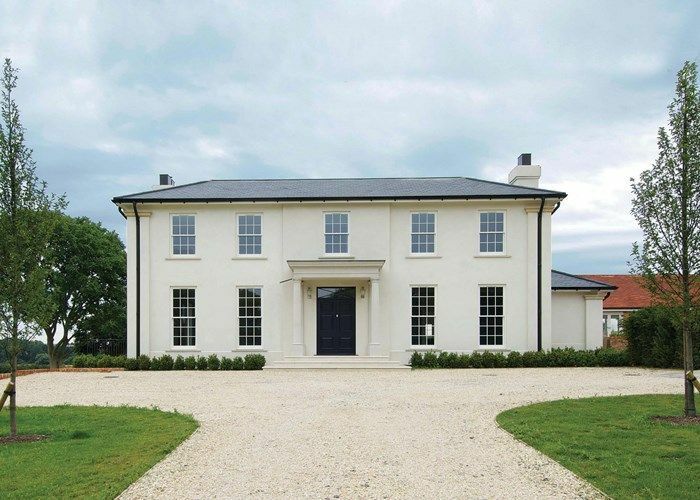 Wooden sash windows will be found in almost all beautiful, period properties of London. • Metal windows are good because they are recyclable however are difficult to maintain and are generally very costly as well as requiring maintenance. Not just sash windows, we should look at our doors, casement windows and conservatories. French Doors can be draught sealed and insulated to protect against heat loss. Recently, since April 2002 the door has been included in regulations to ensure U values are met for energy efficiency, assuming the door is over a certain percentage in overall glazing. They will also include comprehensive and technologically advanced draught proofing systems to create excellent thermal insulation properties. The draught seal used in doors and wooden casement window repairs is different to that of a sash window. 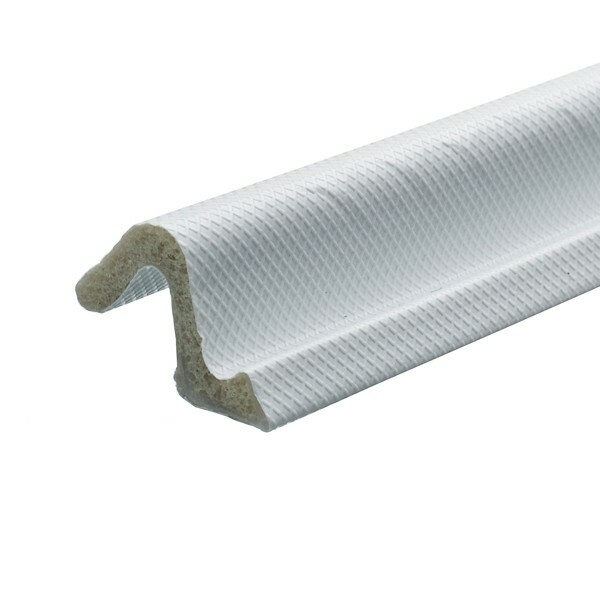 A seal known as the Aquamac 21 is used because when a door or casement pulls tightly closed, it creates a far superior seal to that of a standard nylon brush pile. Aquamac 21 casement window seal, specially designed for wooden casement and doors. Old doors can also benefit from a draught proofing system and will typically cost in the range of £200 per door and save in the region of £30 per year. This creates a payback period of around 6 to 7 years. Conservatories are almost all glass and it is extremely important that the standard of double glazed unit used is of high quality and high thermal specification. Not only to stop heat entering the conservatory, but to stop the conservatory from overheating on warm summer days. It is unwise to heat a conservatory as heat will escape far too easily and is a real waste of energy. Some ways of improving the heat loss on a conservatory is an internal door which creates a second boundary for the main home, as well as blinds which can help. This can also be combined with curtains and nets to produce the same thermal insulation effect. It is important to understand that thermally, a conservatory will never be as effective as the home and therefore should be enjoyed in the summer months and after the direct sunlight passing through glazing has had a chance to warm the room in winter. Beautiful door upgraded for thermal efficiency. How can I tell if I am allowed double glazing? • If you live in a conservation you should contact planning to avoid a situation whereby you’ve done the work but a court order requires you to reinstate back to original. This is a huge waste of money and damaging to the environment. • There is a possibility you have an article on your home and are not allowed to make such upgrades. • Your home is listed. • It is quite normal to have a professional make the install as it is beyond the average DIY enthusiast, however some secondary glazing could be fitted by a competent DIY enthusiast, however we strictly recommend that new double glazed windows are installed by a company that offer insurance and guarantees. If you decide to do the project yourself, you’ll need to obtain your on permit, whereas an accredited installer will provide one. Is it hard to find a good installer? If your having difficulties finding a competent installer then you could start with the Glass and Glazing Federation as they have a long list of members that carry out installs every single day. Using the GGF will almost certainly guarantee reasonable pricing, good service, and a high quality product. There is the added benefit that in the event that something isn’t quite right with your install there is some come back and mediation services available. Alternatively, why not hire use for your double glazing sash windows project. In London all installs need to meet minimum building regulation specifications. There are two easy ways to make sure your covered. Firstly you can submit an application to the local planning or use a Fensa registered installer. You can receive a certificate, and an insurance backed guarantee if operating through Fensa. The certificate will basically say that the install meets building regulations and takes away some paperwork your end. It is completely up to you how you obtain the correct permission and the two options are equally viable. Secondary glazing can be installed into the inside of sash windows in London. They are normally surface mounted to the frame and are extremely effective at heat and noise insulation. Since the air gap, although not a vacuum is around 100mm it is superior to any double or triple glazing installation. The downside is the aesthetics of period properties are considerably assaulted by this process. Make no mistake though, by a long way this is the best value for money in terms of overall noise reduction. Conservation and listed building sash window issues. Living in conservation areas can be quite difficult. It is almost certain that you will have lovely wooden casement or wooden sash windows. Not all is lost though. You can double glaze the original sash windows using slim line double glazing technologies, and if there is a problem with planning at a bare minimum you’ll be able to have your sash windows draught proof. It is quite likely you’ll still be able to replace your windows, however it’s highly likely you don’t want to lose your nice wooden windows. It is best to seek council approval if you would like to have slim line units installed into the original sash. It will be approved but it is better to have them give it the go ahead. As well as double glazing the original sashes we can also look at shutters and thick curtains to improve the heat loss. List buildings are extremely difficult to handle and you should almost certainly contact an accredited sash window listed building company that understands how to upgrade listed building windows. There are some companies that specialise in the improvement of listed building sash window repairs. However please be warned this is not a cheap exercise. It is likely that your sash windows will be protected for historic or even cultural reasons. It’s almost guaranteed you’ll not be allowed to externally interfere with the looks and aesthetics, however a fair trade off is internal secondary glazing which will do wonders for heating. I would highly recommend you have your selected company and council planner meet to ensure all understand the requirements involved to obtain the necessary permissions for install. Listed sash windows, sympathetically restored and repaired. Sash windows are beautiful, and wooden, and make a property of period look wonderful. Thankfully they don’t need to be thermally inefficient anymore due to quality sash window double glazing. Uprated sash window sound proofing is perfectly common and comes as standard in most new installations. The sliding sash window normally consists of two moving panels. There are some triple sash windows but they are rare and unusual to see in a normal Victorian home. If you want to insulate your sash windows then double glazing to the original panel is possible with a quality draught proofing system. You may also require sash window repair and maintenance which is no problem as the windows are wooden. There are UPVC replicas but you can always tell. They look chunky and not nearly as good looking as an original sash window. They do offer good thermal properties. Plastic is normally considerably cheaper than the real thing in terms of entire replacement, however do not be fooled easily. UPVC sash windows are built on spiral balances and as a result they breakdown easily which is extremely costly. Buying a UPVC sash window saves money early on, only to be taken back in expensive part replacements later on, as well as the plastic extrusion only have a new look for around ten to twelve years. What are my alternatives to double glazing? If you don’t like the idea of ruining your original sash windows then you should absolutely look to sash window draught proofing and repair. The typical cost of sash window repair is around £250 per window from London Sash Window Repairs Ltd and will often pay back as much as £50 per room. This represents a quick payback within the guarantee period. There is also the option of installing a thermally efficient glass, however given the cost double glazing is a lot better value for money in terms of heat loss improvement. Secondary glazing is an extra pane of glass attached to the inside of a timber frame window. There are many types of secondary glazing from a full pane of glass that is fixed and cannot open, to a sliding sash type replica. The costs range from a couple of hundred pounds for a simple pane of glass to nearly the price of an original sash window for the fully operational type. This might be the type of job a DIY enthusiast could take on as it’s quite simple to surface mount these systems with mechanical fixings. Are you a curtains or blinds advocate? 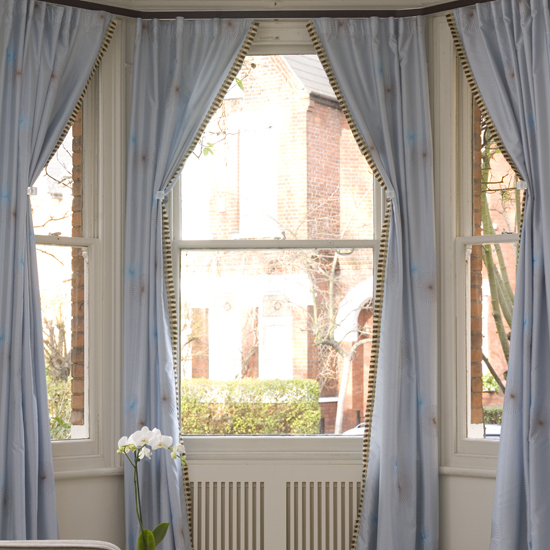 Curtains are considered less attractive or contemporary by many, however did you know that a curtain with a heavy lining is extremely efficient at reducing the amount of heat lost through a sash window. Even more so if you only have single glazed sash windows that are not yet draught proof. Blinds and shutters help but they are not nearly as good at insulation as the curtain option. Curtains look brilliant and can improve the energy efficiency and reduce carbon footprint in your home. There is a scale from A++ to E. A ++ being the very best and running all the way down to E. If you’d like to know what your window rating is then please visit the BFRC as they’ll have a calculator and advice to help the grade process. Learning about U Values and Building Regulations. All energy ratings are following the same scale as U value but differently – I know that’s quite complicated but the energy rating is about the overall window thermal efficiency values, whereas the U-value is a quite simply the measure of how heat can pass a material. The higher the U-Value, the easier it is for heat to pass through that material. Typically heat passes through metal the easiest. Plastic is then second, and wood by far is the best insulator. Amazingly the last thing to talk about after all this improvement of thermal efficiency is Ventilation. We need some ventilation to reduce condensation as well as dry out our property to avoid damp issues. We should have windows installed with trickle vents to allow a little ventilation because it is normal that new windows allow no ventilation at all. I would keep these closed unless necessary or you notice damp problems. Damp will happen to you if you do not have enough ventilation. A good time to open your windows is when showering or drying clothes. This will solve most problems and if in the cooking boiling water it is worth opening windows as well.